15+ Seeds. 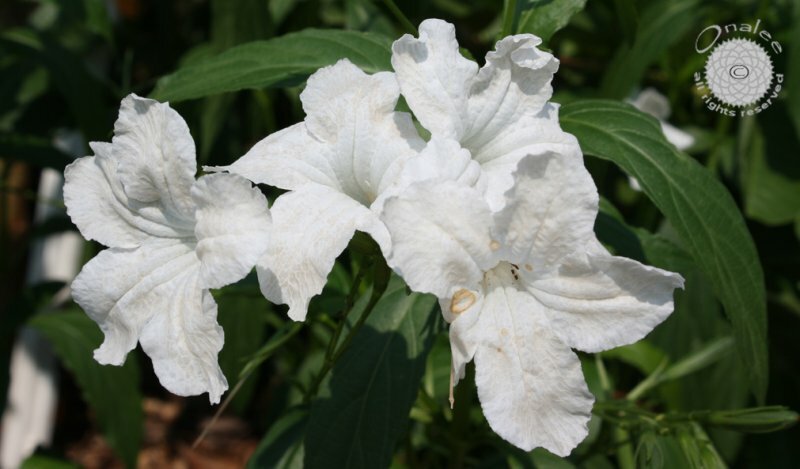 These are fast growing plants that bloom in a profusion of WHITE flowers when the weather starts to warm, all during the hottest summer months and all the way until frost. These are much more rare than the purple and pink varieties, and look great planted with them! 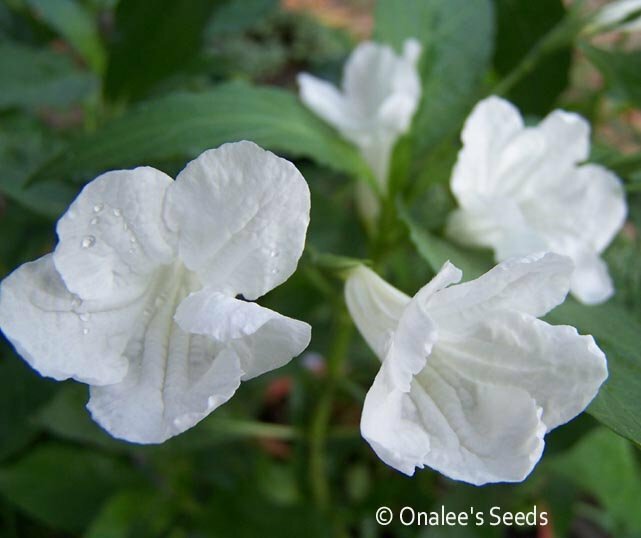 You are buying 15+ Seeds for the Tall WHITE(White Snow) Mexican Petunia (sometimes called Mexican Chi Chi, Desert Petunia, Ruellia Brittoniana.) These are not the short border plants these will easily reach 3" high. 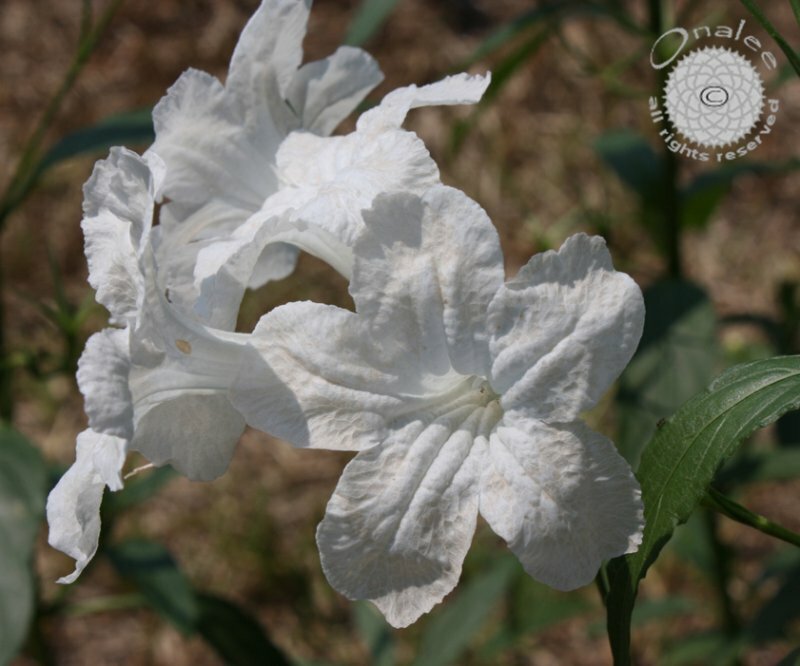 These are fast growing plants that bloom in a profusion of WHITE flowers when the weather starts to warm, all during the hottest summer months and all the way until frost. These are much more rare than the purple and pink varieties, and look great planted with them! These can grow in full sun or partial shade they love damp soil, but can definately survive in drier conditions such as 'normal" yard conditions and I would even say they are drought tolerant, but bloom best with average or better water. Mine are growing in partial shade in sandy well draining soil and doing just fine - only needing to be watered during the driest periods. These plants will reach 3" high and 1'-2" wide and will spread on their own as the seed pods pop and drop their small seeds. These are perennials hardy to USDA Zone 8a: to 10? F. They will die back in the winter, but will return in the spring. Suitable for container growing in colder climates.